Live Near the Santa Cruz Elks Lodge? You're Eligible to be Part of our Wireless Pro Network! 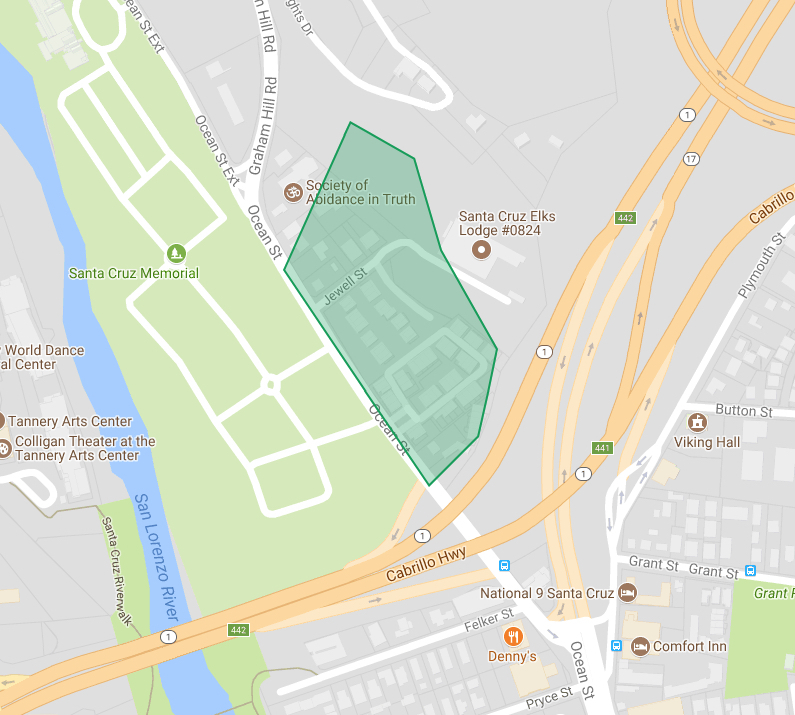 As we continue to build out our Fiber network in downtown Santa Cruz, we haven’t been neglecting the importance of our fiber-backed wireless network throughout the county either. If you’re looking for high-speed fiber-backed symmetrical internet service, and you live near the Santa Cruz Elks lodge, you’re in luck! If you see your address in the colored shape above, let us know! You’re eligible to get connected to our Wireless Pro network now! All you need to do is fill in your address on our Santa Cruz Fiber homepage to get started. Wireless Pro has average speeds of 75 megabits per second for both uploading and downloading, and in many cases speeds are much faster than that, up to 100 Mbps. That’s not the end though, your speeds will automatically get better as technology improves as well. So if you live in this area, let us know! We’ll be happy to have you join the Cruzio network. Hello Capitola! We're Ready to Connect You to Wireless Pro!